Carolina Willows encroaching on sawgrass in St. Johns River marshes. The willow has been increasingly invading St. Johns River for the last 50 years. Levees and canals, created to stabilize water levels in the river, caused the willow to thrive. 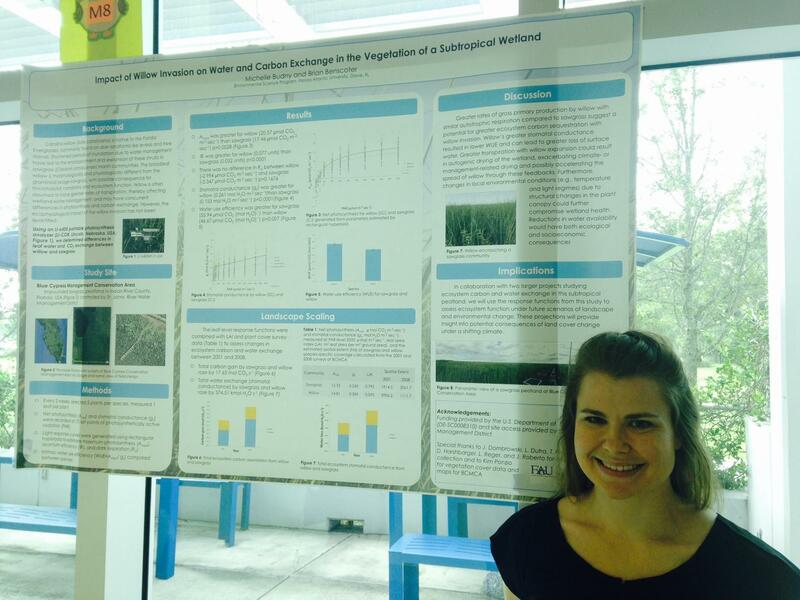 Michelle Budny is a graduate research student at FAU, studying environmental science. For the last year and a half, she’s been collecting data and analyzing Carolina willows -- and taking weekly airboat rides into the marshes of Blue Cypress Conservation Area. 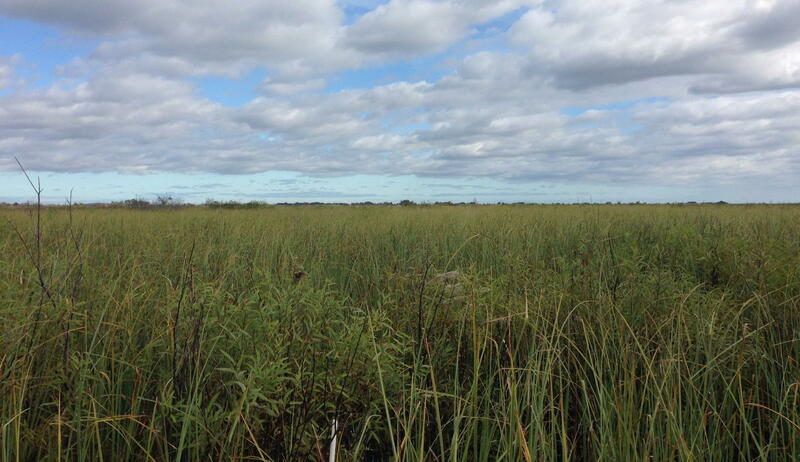 "As these willows move into the sawgrass, they use more water, which means that there's less water available in the ecosystem for other processes," says Budny. Michelle Budny is a master's research student at Florida Atlantic University. She proved that the Carolina Willow, an invasive but native Florida plant, could dry up the state’s marshes. She used a portable photosynthesis analyzer to clamp onto live willow leaves. Budny discovered the willow needs more water for the amount of carbon it gains. That means it takes a lot of water from the environment. She says this could potentially dry out Florida marshes as the plant continues to grow outward. "Especially as climate change progresses, there's expected to be less precipitation in South Florida, so that has implications for water availability," she says. Budny is ready to hand off her data to St. Johns River Management District, so they can decide how to deal with their willow invasion. As for Budny, she’s graduating in May and plans to continue researching Florida’s wetlands. 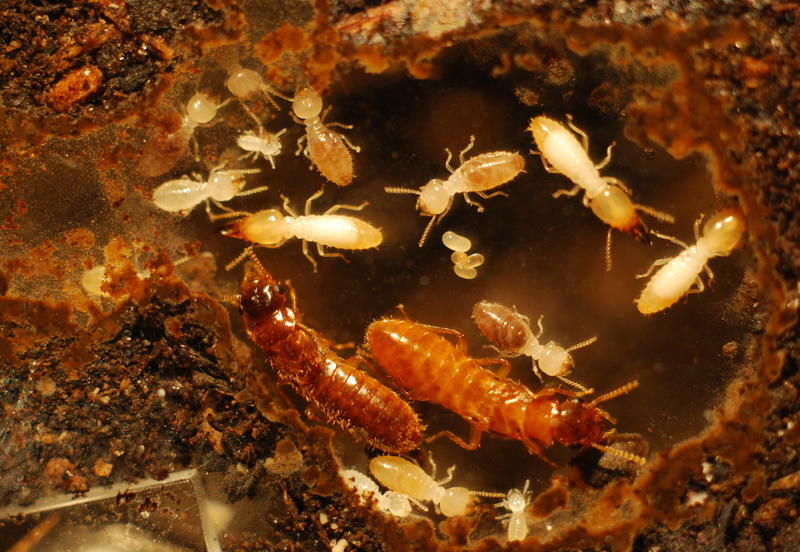 Termites are among the world's most destructive pests, causing more than a billion dollars in damage each year in the U.S. alone. Scientists in Florida have tracked the development of a new hybrid species of termite — one whose colonies grow twice as fast as the parent species. Researchers say the new "super-termite" is even more destructive than other species and may carry a significant economic cost. One way Miami Beach might prepare for the threat of rising sea levels is to elevate the whole city. “The only tried and true solution to combating rising sea levels is to raise with it,” says Eric Carpenter, public works director for the City of Miami Beach. As the city celebrates its centennial, the top-level engineer and Miami Beach resident spoke with WLRN about how sea-level rise will affect the city’s next 100 years. Several South Florida municipalities have been making efforts in coastal restoration. The city of Miami approved major projects on that front in 2010. It did so in an attempt to implement natural solutions to sea-level rise. Conservationists are in the process of removing invasive plant species in beach dunes that cause coastline erosion. They are also installing plants that allow dunes to grow and better absorb water.